Being so close to the latest advancements in dentistry has given Dr. Magid, DDS, FICD, the experience and expertise you deserve. His practice and his skills are nationally recognized as having transformed dental care with high-tech solutions. With this expertise, he can provide a superior level of care. You can be assured that the latest technology in improving comfort, convenience, safety and quality of treatment will be available to you. Feel free to review the advanced tools, natural artistry, and health enhancements that are part of his advanced dental practice. Also, be sure to browse the astonishing before to after changes this technology offers as revealed through photos of actual patients in our Smile Gallery. 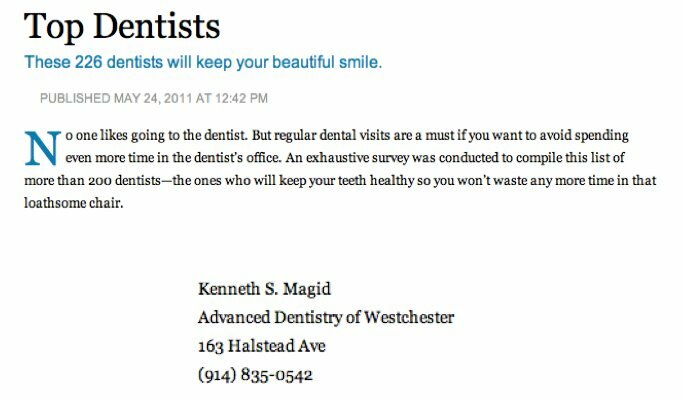 Our doctors at Advanced Dentistry of Westchester believe that quality 21st century dental care can only be achieved with modern technology. This technology has revolutionized the practice of dentistry and has made it possible for you to receive a higher level of care.